The IRS is explaining, in a recent release, what employers should do if they become the victim of a W-2 scam. Any employer could become the target of a W-2 scam. In recent years, these scams have become one of the more dangerous e-mail crimes involving tax administration. The e-mails appear to be from an executive or organization leader to a payroll or human resources employee. It may start with a simple, “Hey, you in today?” and then asks for tax and personal information about employees. By the end of the exchange, all of an organization’s Forms W-2 for their employees may be in the hands of cybercriminals. This puts workers at risk for tax-related identity theft. 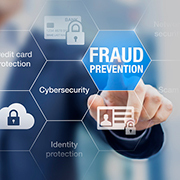 Because payroll officials believe they are corresponding with a company executive, it may take weeks for someone to realize a data theft has occurred. Generally, the criminals are trying to quickly take advantage of the theft. In some cases, they file fraudulent tax returns within a day or two to steal tax refunds. This scam is such a threat to taxpayers that a special IRS reporting process has been established. E-mail dataloss@irs.gov to notify the IRS of a W-2 data loss and provide contact information. In the subject line, type “W2 Data Loss” so that the e-mail can be properly routed. Don’t attach any information about employees’ personally identifiable data. E-mail the Federation of Tax Administrators at StateAlert@taxadmin.org to get information on how to report victim information to the states. A business/payroll service provider should file a complaint with the FBI’s Internet Crime Complaint Center (IC3.gov). A business/payroll service provider may be asked to file a report with their local law enforcement agency. Notify employees so they can take steps to protect themselves from identity theft. The Federal Trade Commission’s www.identitytheft.gov provides guidance on general steps employees should take. Forward the scam e-mail to phishing@irs.gov. The IRS is also encouraging employers to put steps and protocols in place for the sharing of sensitive employee information such as Forms W-2. One example would be to have two people review any distribution of sensitive W-2 data or wire transfers. Another example would be to require a verbal confirmation before e-mailing W-2 data. Employers also are urged to educate their payroll or human resources departments about these scams.